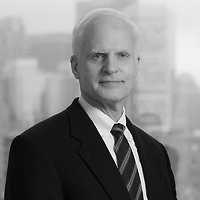 David C. Henderson, a member of the firm’s Labor, Employment and Benefits practice group, published “High court rejects EEOC’s pregnancy bias guidance” in the May 2015 issue of New England In-House. The article discusses the U.S. Supreme Court's decision in Young v. United Parcel Service. In Young, the Court rejected the Equal Employment Opportunity Commission's guidance on pregnancy discrimination enforcement. And as the article explains, the Court also provided a balancing test to determine when a plaintiff can avoid summary judgment and obtain a jury trial on the issue of whether an employer’s alleged business reason for disparate treatment is unlawful pretext.